At the Anchor Insurance Group, we want to ensure that our clients are covered in all aspects of their lives. That’s why our team of knowledgeable agents will guide you through each step of the process. 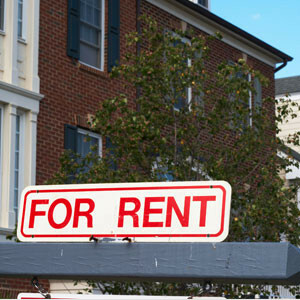 If you rent property, protect yourself with renters insurance. Anchor Insurance Group will help you determine how extensive your renters insurance policy should be. A renters policy can also save you money on your automobile policy by combining both policies with the same carrier at savings up to 30%. All renters should understand that generally speaking, renters insurance acts as a homeowners insurance policy for those who rent— and inevitably can help protect you and your assets. Having renters insurance can also help to mediate the cost of damages should anything happen to a rental property that you are living in. Do not make the mistake of assuming your landlord’s home insurance will cover you and your assets. A landlord’s policy covers only the physical structure of the rental property—not your belongings. If the person who owns the building has rental property insurance they will be protected from costs to them should something happen to the building, but they are not responsible for insuring your belongings. • Personal Property – like your furniture, electronics, and clothing. • Personal Liability – in the event that someone is injured. Replacing valuables is made much easier with the help of renters insurance. Renters policies provide coverage for your valuables in the event that fire, smoke, lightning, vandalism, theft, explosion, windstorm, and water damage from plumbing occurs. Also, if you are forced out of your rented home due to a disaster, additional living expenses you may incur- like hotel bills, temporary rentals, and restaurant meals – are covered by renters insurance. Renters insurance also provides coverage for those who may be injured at your home, or elsewhere, by you, a pet, or a family member. In the event of a law suit, a renters policy will also cover your legal defense fees if you end up in court.